I am big-time in love, and it’s been a while since I’ve felt this way. For the longest time (since even before The Angry Woman Suite came out in March, and my husband’s death in May), I’ve been reading only magazines before falling asleep at night—no time for the commitments books require (and this from someone who at one point routinely read 4-5 books a week—geez, did I have no other life back then?). And then a friend handed me a copy of Elizabeth Berg’s The Year of Pleasures (pub. 2005), and I’ve been head over heels ever since. That I actually starting reading it is a bit of a miracle, since I try not to read novels when I’m working on my own stuff (I don’t want to subconsciously pick up another author’s voice). “Oh, I know, I know!” I wanted to comfort Betta, an instant sister of my heart. I hugged Berg’s book when I finished—literally. And considered that this is why many of us read. I thought back on all the novels—okay, not all—that have given me something, starting with Alcott’s Eight Cousins, when I was nineish, about family—Oh, so that’s how it’s supposed to work! I remember thinking—to Mitchell’s Gone With The Wind when I was eleven, about war and love at odds and never giving up, and Lee’s To Kill A Mockingbird of course, and … well, the list is endless, all the books that have formed me; taught me, and got me to thinking, and even, sometimes, brought me community. 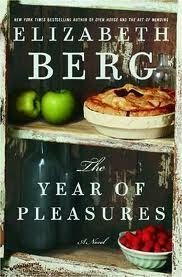 Berg’s small book, The Year of Pleasures, has been added to my list. And it’s a new day. 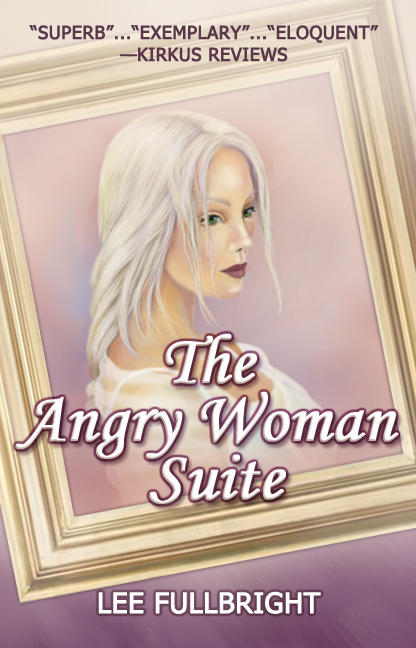 This entry was posted in A Writer's Life and tagged blog book tours, Elizabeth Berg, Lee Fullbright, reclaiming life, The Angry Woman Suite, The Year of Pleasures, widows, writing fiction. Very nice post, Lee. A pleasant way to start the day, and a book recommendation as well. I fell in love with Berg, too, after reading The Pull of the Moon.Looking forward to The Year of Pleasures.